We see ourselves not only as your web design and online marketing agency but as your trusted partner. When you are successful, then we are too because we know that we are part of your success. Sadly most small and medium sized businesses don’t have the in-house resources to make the most of this powerful marketing channel. That’s why we provide a cost effective, “done for you” service. You get all the benefits of our expert team for just a small monthly fee! Why choose Sites For Business? We’ll support you every step of the way from creation to success. We offer a range of monthly payment plans that helps make your business not break their bank. We have a team of specialists working on every project, unlike most web designers who are a one man operation. 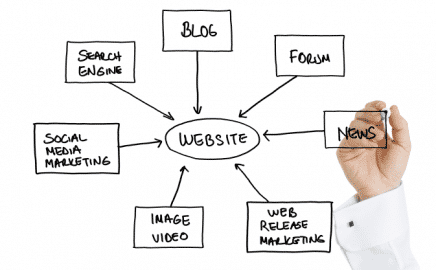 We’ll teach you how to use your web presence to generate more business. We provide ongoing, easily accessible support for our clients via phone, emails, live chat support and specialised help desk systems. Our goal is to become your trusted online marketing partner. “After a long time of searching for the perfect theme/design to create a new website I met Edward from Sites for Business at a Networking Meeting and we had a meeting with Edward making lots of notes of my requirements and within a week I had the first screenshot of my website landing page and it mirrored exactly what I had asked for. I was very detailed about what I wanted every page to do, but nothing was ever too much trouble. On the launch of my new website, I asked both clients to visit the new site and asked for feedback. They both said how professional it looked and that it now reflects my business perfectly. Sites for Business is one of two UK offshoots of INTERITA, a Lithuanian IT support company. We originally started in the UK in 2012, trading as ‘iFixComputers’ with two shops in Southampton. 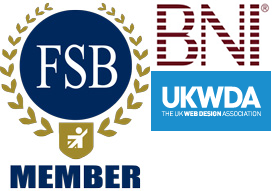 In 2014, we decided to split the web design and computer repair sides of the business and Sites For Business Ltd was born. Just brilliant, totally transparent and very professional. no hidden costs, perfect..